Do you dream of flying a helicopter for a living? If you would like to earn a living as a commercial helicopter pilot, whether this is as a full-time pilot or as a part-time second career, the minimum qualification you will need is a Commercial Helicopter Pilot’s Licence CPL(H). Central Helicopters is authorised by the Civil Aviation Authority to offer the CPL(H) modular flight training programme on the Robinson R22 and R44 helicopters from our dedicated Nottingham heliport. What are the requirements for the Commercial Pilot's Licence? Have logged a minimum of 155 hours as a helicopter pilot, of which at least 50 hours are as Pilot-in-Command (PIC) including at least ten hours cross-country as PIC. Have passed all the Theoretical Knowledge exams at CPL(H) or ATPL(H) level. The study for these exams is usually conducted through a Distance Learning programme at the same time as the “hour building” is taking place. Central Helicopters does not offer the Theoretical Knowledge teaching but we can point you in the direction of the people who do. The course is usually conducted over an intensive three to four-week period, beginning with an assessment with our CPL instructor to ensure that you have met all the pre-requisites before flight training begins. The course involves a minimum of 30 hours (35 hours if you require a night rating) of dual flight instruction – a mandatory ten hours of instrument flying and the remaining 20 hours covering general handling and navigation exercises. The course will finish with a CPL Skills Test conducted by a CAA-nominated examiner. Once passed (and your new licence has been delivered) you are a professional helicopter pilot. 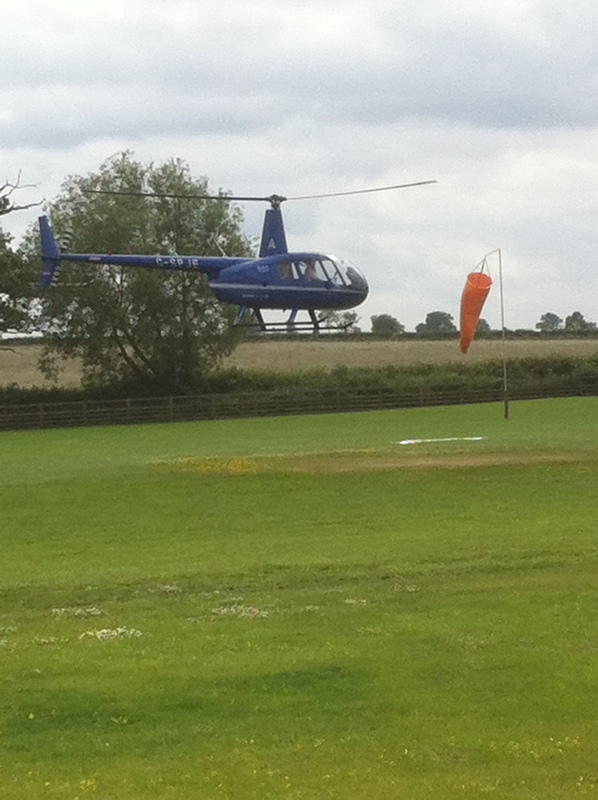 To find our more, call in to see us at Nottingham Heliport. Our friendly and experienced CPL instructor and Operations Team will be more than happy to show you around the facilities and have a chat to see how we can help you become a Commercial Helicopter Pilot.